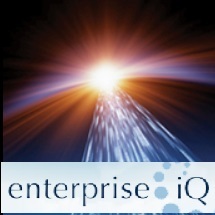 Last week I attended the MDM and Data Governance Summit Asia Pacific 2013 in Sydney, organised by Enterprise IQ. Over the two days MDM was covered extensively and in depth, with a solid dose of Data Governance thrown in. With so many good sessions, it is quite a challenge to provide a thorough summary as well as add insight and commentary in a single readable length post. The summit was chaired by Aaron Zornes, Chief Research Officer of the MDM Institute. His depth of knowledge on the topic was apparent in his keynote sessions, and also in the interactive style that he managed various panel discussions. He shared an interesting statistic that 50% of MDM Software Revenue was earned by smaller best-of-breed boutique vendors. Regular readers will know I don’t often boost products, but a case in point is EBX5 – a model-driven MDM solution from Orchestra Networks that really impressed me. Through its expandable semantic model, it caters for different types of master and reference data, without locking the organisation into pre-designed concepts about person, party, product or other reference data concepts. Workflow, time-based version control, mass movement of hierarchies and many other features make this toolset really useful. The other interesting statistic Aaron shared was that per capita Australia was more active in the MDM space than the USA or Europe. There are many business drivers pushing MDM to the fore. With the importance of customer focus being accentuated through Big Data and social analytics, the base of reference data about the customer, and the sources where customer identity has to be managed, are increasing in volume and complexity. The same applies to supplier data. Likewise, detailed product data and in-depth knowledge of product and the perception of products in the market is also gaining importance – hence requiring organisations to manage product reference data better too. So MDM is fast growing out of the customer centricity focus into the realm of generic master and reference data management. Most of the presenters shared the view that the take-on and improvement of MDM to its full extent is a journey, closely related to the maturity of data governance. Aaron showed through a progressive series of definitions of passive, active, and pro-active data governance how MDM should be used to align IT-centric and business-centric views on data quality, where MDM and the related data governance functions are a natural vehicle to closely align data with the business processes. The MDM Institute forecasts that in the 2014-2015 timeframe, most MDM solutions will move from the current “passive-aggressive” mode to a “proactive” tightly-integrated data governance mode. In his keynote session Doug Thomson of IBM illustrated the extended role of data governance to better understand, improve and act on big data through the external business processes that interact with clients and the internal business processes to define and improve organisational efficiencies. Data governance and MDM needs to scale out to cater for the increase in data volumes and complexity, while addressing increasing business pressures to act faster, more informed and more confident on changing business landscapes. One of the key statements of his presentation that impressed the value of MDM and data governance for me was that “true insight requires a foundation of information confidence.” Only with improved data governance and more tightly integrated and pro-active MDM across all functional domains will we get that level of increased confidence. There were many presentations on the different approaches to embark on MDM and data governance initiatives. Presenters from GlaxoSmithKline, TNT Express, Australia Red Blood Services, IAG, Shell, NSW Health and the Universities of Sydney, Wollongong and New South Wales all shared case studies, tips, best practice approaches and lessons learned from their implementations of MDM and data governance initiatives. There was way too much detail to even summarise here, but I would like to highlight two take-away key insights. One of big differentiators I picked up was that the position in the organisation where MDM and data governance was driven from, has a huge implication on the way it is implemented. With an initiative driven from the executive level, the road is less rocky, and it requires much less justification, but it requires more stringent measurement and tracking. With a bottom-up implementation, for example as boot-strapped off a BI initiative, small quick-wins, success stories, and cost-efficiency justifications are much more crucial to the longer term success and acceptance of the initiative. However, for both approaches, it was very clear that it is a gradual process – a maturity growth and a phasing in through the various phases, and a roll-out and adaption either by subject area (customer, person, supplier, and product) or by business functional area (marketing, sales, finances, etc.) Like data warehousing and BI, MDM and data governance just doesn’t work big bang style across the whole organisation. A second key take-away is that successful MDM and data governance adoption requires a lot of internal collaboration and communication. This includes education, skills transfer, internal sharing of initial and on-going successes, communication on progress made, planned activities, business value gained, costs saved etc. You have to make sure that you have these capabilities on your team as well, to market and socialise MDM and data governance across the organisation. The MDM and DG Summit Asia Pacific 2013 was an excellent in-depth treatment of the two closely related topics of MDM and Data Governance. With such an excellent line-up of informed and experienced speakers, it is almost a shame not to mention more of them by name. There is also so much more that was covered in depth, but I simply do not have the space to cover it all here. But, hey – if you want to know it all at that level of detail, just attend the summit next year. Kudos to Enterprise IQ for a well-organised and well-run event, with tasty food and decent barista-made coffee on offer too. Last but not least, the event would not be the same without the entertaining yet professional and informed Steve Hoskins of Rolls Voice as MC. Not only is he well-versed in technology (or maybe he just knows how to pretend to be), but best of all – there’s nothing like a bit of ad-lib comedy to wake up the grave yard shift after lunch!